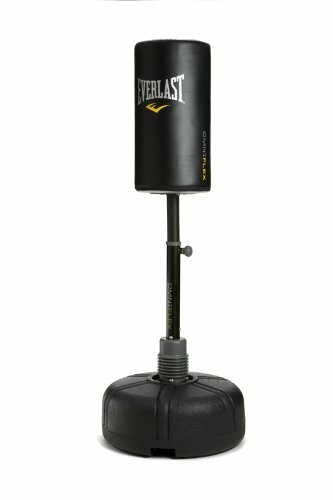 Engineered for the complete fight sport training workout. Designed to endure punches, kicks, and knees. The ultimate in FSHB technology and innovation. Fully assembled bag with high grade shock absorbing foam striking surface. Nevatear outer shell provides lasting durability and functionality. Omniflex neck allows for maximum impact absorption and reduced base movement. Low-profile base design allows for punches, kicks, and knee strikes. Approx. 130lbs when filled with water, 67" tall @ highest setting. If you have any questions about this product by Everlast, contact us by completing and submitting the form below. If you are looking for a specif part number, please include it with your message.